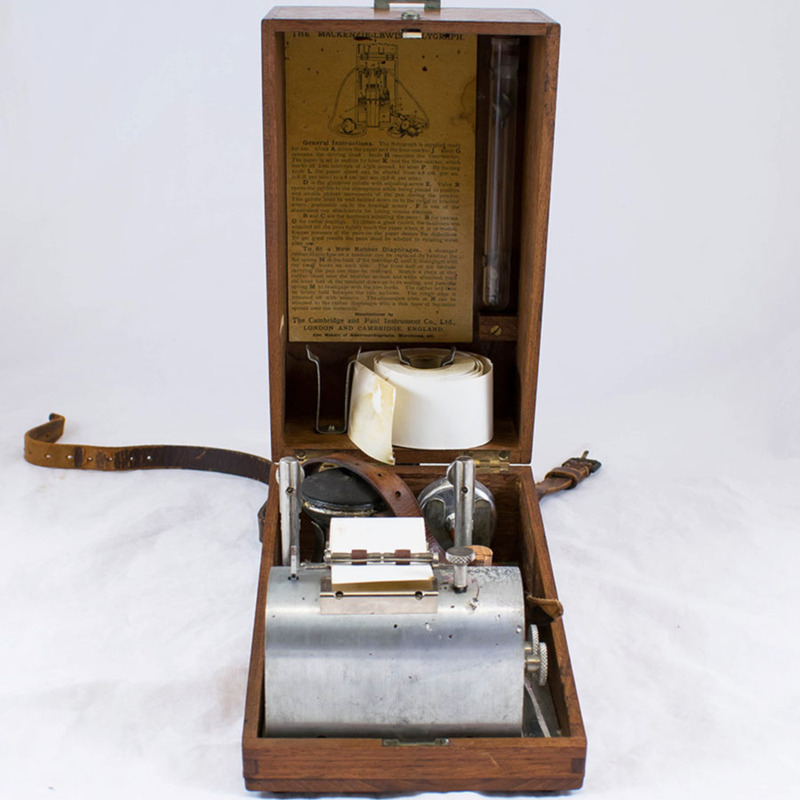 McKenzie-Lewis clinical polygraph in wooden case. 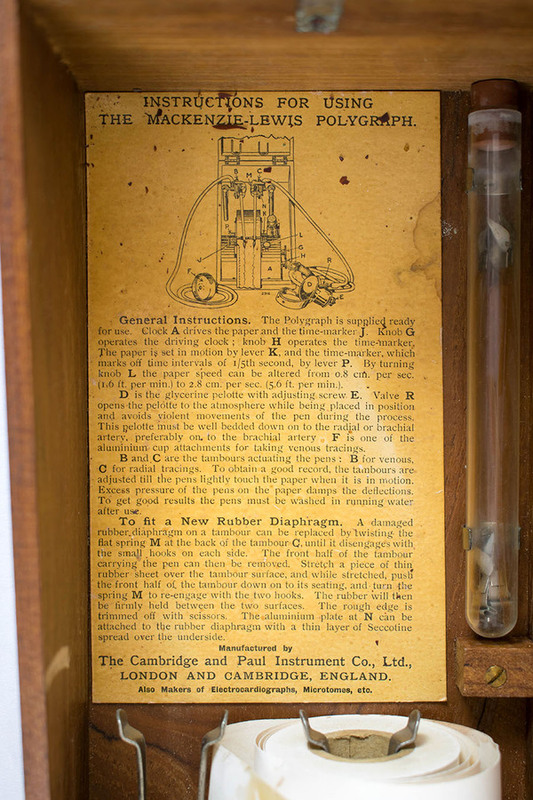 Cork, glass, leather, metal, paper, rubber, wood. 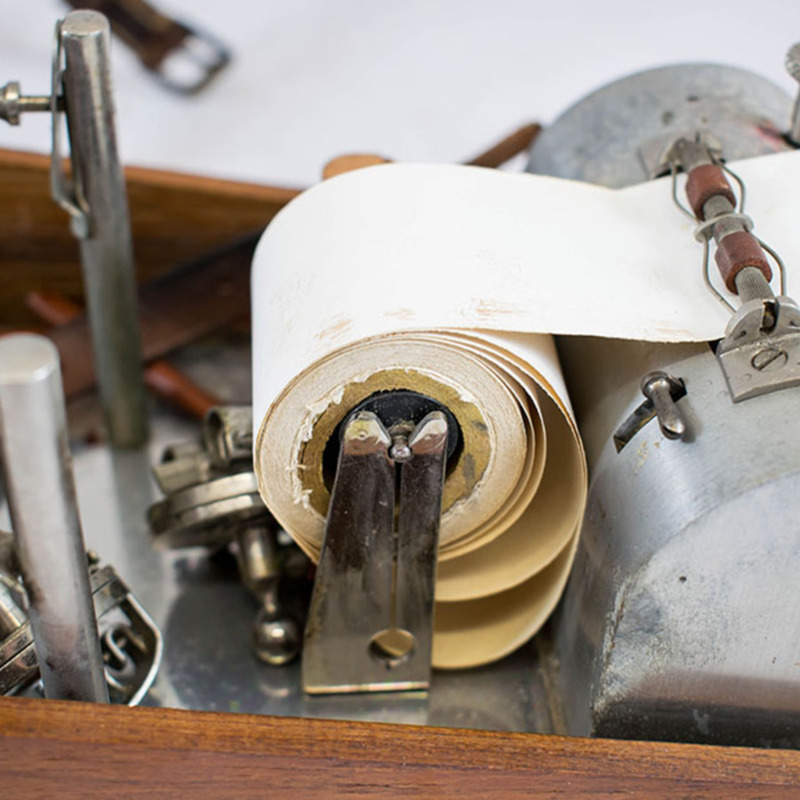 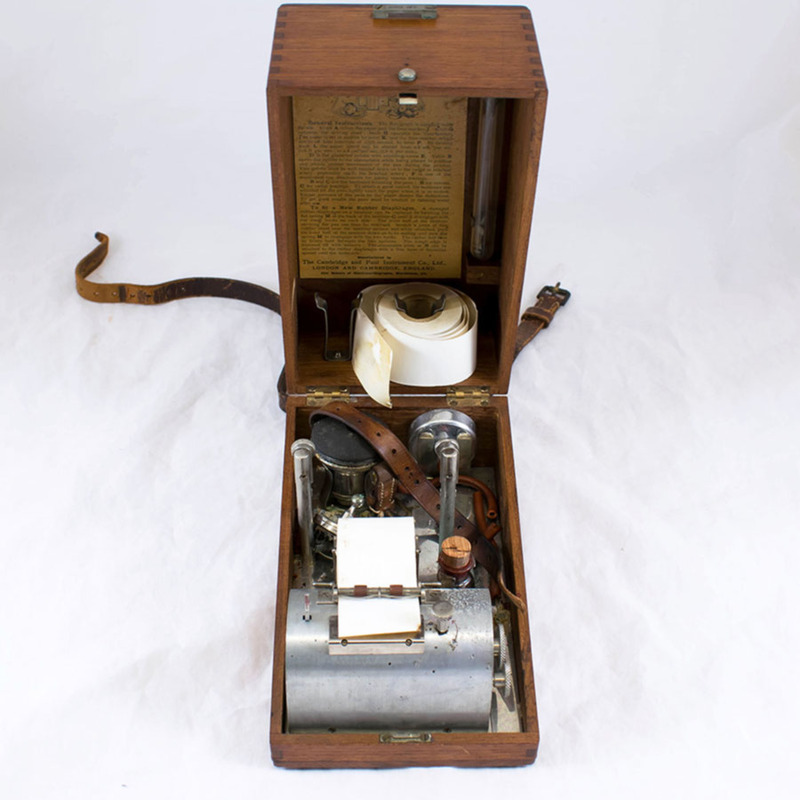 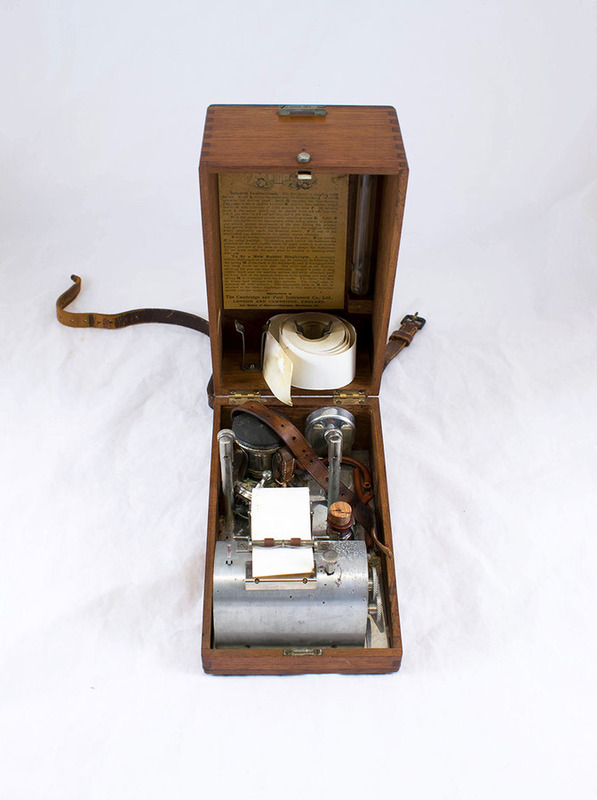 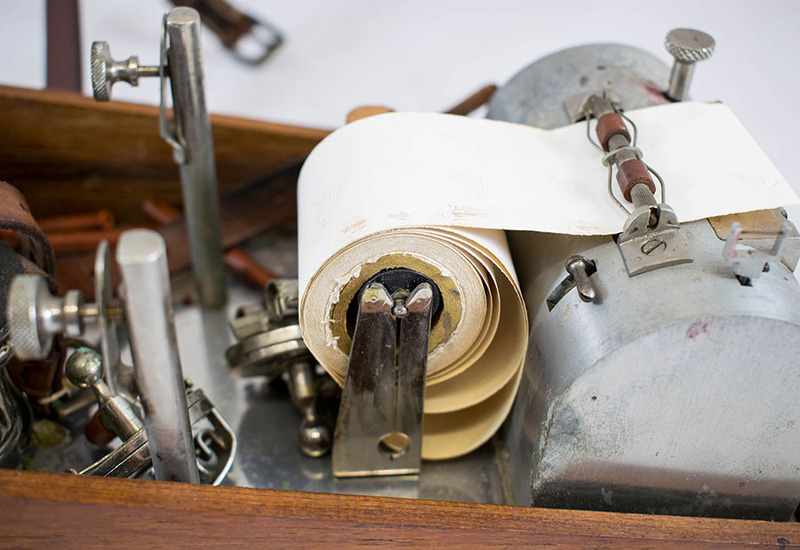 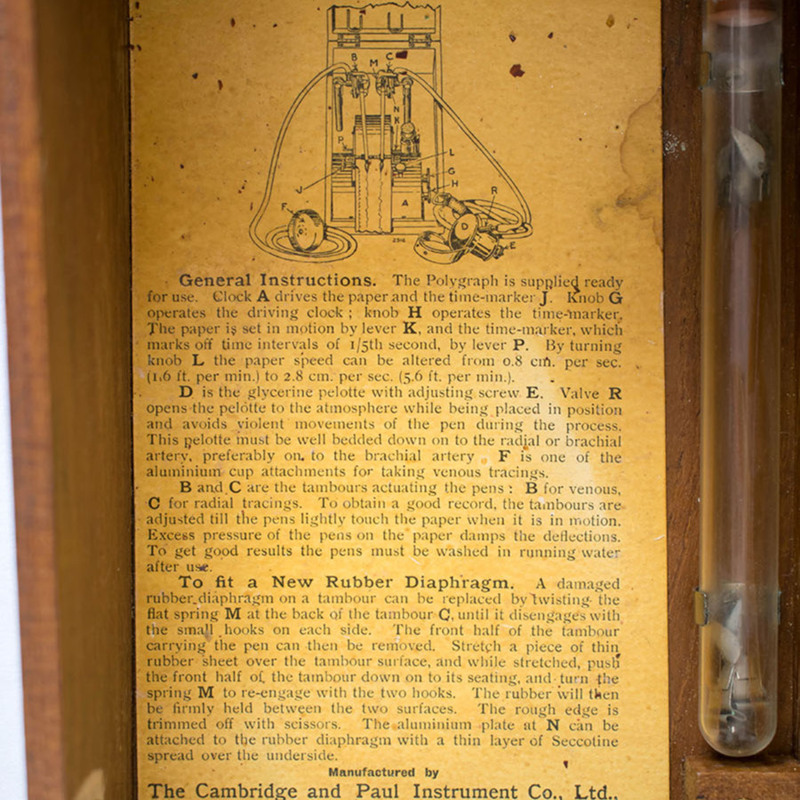 “McKenzie-Lewis Clinical Polygraph ,” Heritage, accessed April 23, 2019, https://heritage.rcpsg.ac.uk/items/show/654. 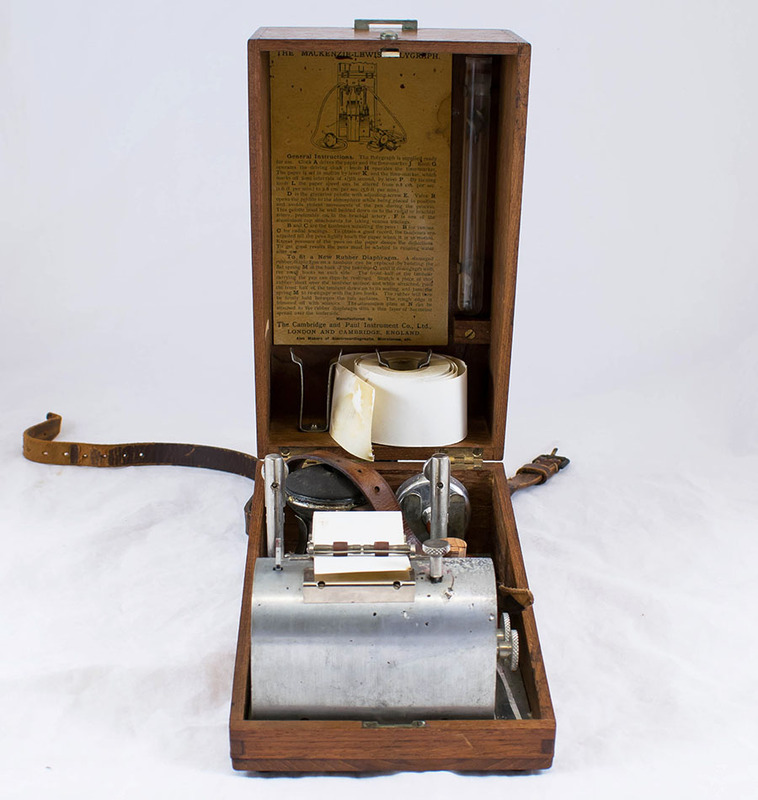 Description: McKenzie-Lewis clinical polygraph in wooden case.